In the aluminium frying pan with PermaDur non-stick coating, you can prepare delicate foods very easily. Even if you only use a little fat, nothing sticks to the frying pan. The coating is very sturdy, scratch resistant, resistant against food acids and long lasting. 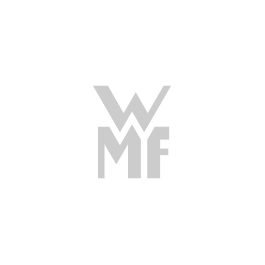 The coating is covered by WMF's two-year guarantee. The base of the pan is unsuitable for induction hobs. Available in 3 sizes and as an oven pan. • Aluminium frying pan with PermaDur non-stick coating - highly durable and long-lasting.